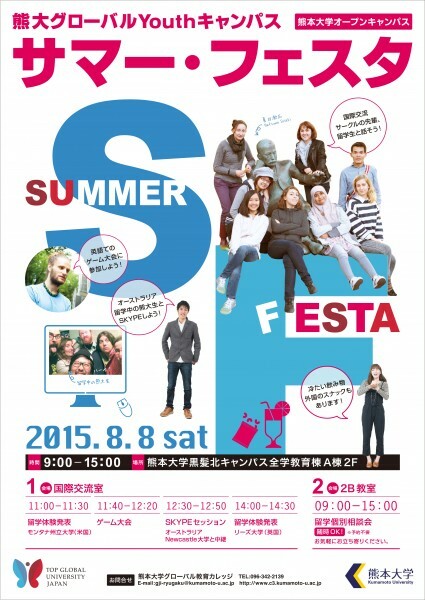 The College of Cross-Cultural and Multidisciplinary Studies will hold “Global Youth Campus SUMMER FESTA“@OPEN CAMPUS on Saturday, August 8! We welcome all international students who want to communicate with high-school students in Kumamoto, so please visit the student exchange room and join us on the day! A Kumamoto University group led by President Shinji Harada visited Indonesia from June 1 to 3 with about 70 other members of Kumamoto Prefecture’s business mission headed by Governor Ikuo Kabashima. 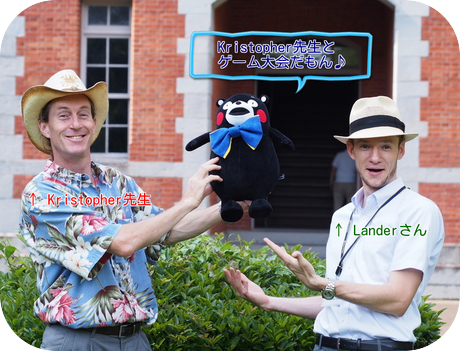 On June 1, the mission attended a Kumamoto Day in Indonesia 2015 event held in response to calls from the Kumamoto Indonesia Friendship Association and Ms. Yoko Suliawan, a resident of Indonesia from Kumamoto Prefecture. On that day and the next day, the mission held meetings with representatives from the academic, business and government sectors in Jakarta and Bali. These meetings were also attended by Dr. Titon Dutono, Chair of Kumamoto University’s Alumni Association in Indonesia as well as many other Indonesian and Japanese alumni living in the country. They shared memories of their campus days and expressed their hope for what Kumamoto University can do for Indonesian students wishing to study at the university in the future. 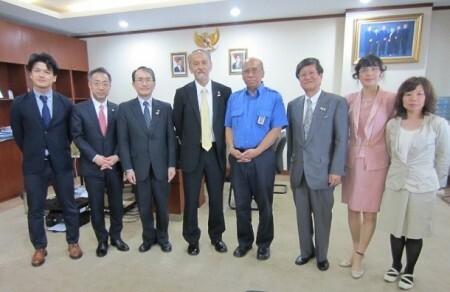 In addition to attending the events, on June 1 the group led by President Harada visited the University of Indonesia in Jakarta, the oldest national university in Indonesia. Founded in 1849, University of Indonesia has 13 faculties and has sent competent human resources into the worlds of politics and business. President Harada and Rector Muhammad Anis, University of Indonesia agreed to prepare for conclusion of an academic exchange agreement. On June 3, the group visited Udayana University in Bali. With 13 faculties, the university accepts many students from around the world. The Faculty of Engineering and Graduate School of Science and Technology of Kumamoto University has interacted closely with Udayana University. 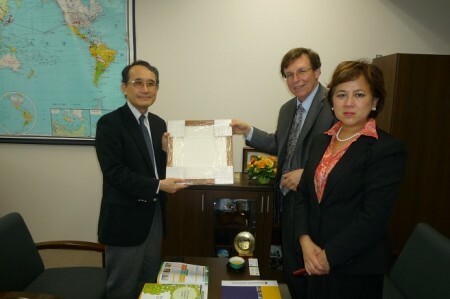 During this visit, both universities agreed to begin procedures to conclude an academic exchange agreement. 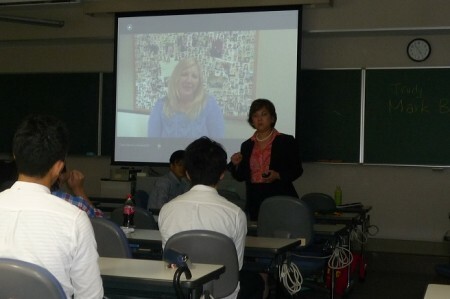 On June 22, Adele Pitkeathly, Director of Studies at the University of New South Wales (UNSW) Institute of Languages in Australia, visited Kumamoto University and met with Vice President Dr. Takashima, director of international relations. UNSW hosts one of the largest international student populations in Australia, and is one of the top ten schools in the country. The visit consisted of an introduction of our universities, and a discussion about student exchange activities. We look forward to continuing discussions with Adele and UNSW in the future. 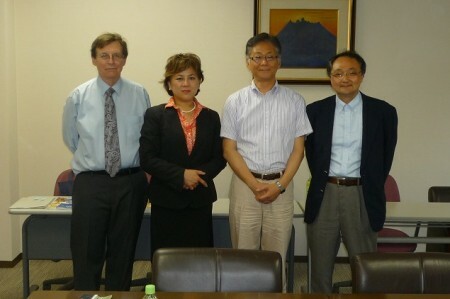 On June 16, 2015, Professor William Connor, acting dean, and Ms. Mimi Hui, executive director of the English Language Program of the Faculty of Extension, University of Alberta, visited Kumamoto University and met with Professor Kazuki Takashima, Vice President for International Affairs, and Professor Shoshi Mizokami, Vice Dean of the Faculty of Engineering. During this meeting, the two universities shared each other’s thoughts about ongoing and future exchange programs and agreed to further promote friendly relations. On the same day, a presentation session was held to introduce the English and Cultural Seminar at the University of Alberta scheduled from August 6 to September 3, 2015. Many of the students who will participate in this seminar attended this session.